They say that Luvs is the official diaper of experienced moms and they are right! You may be thinking "but you only have 1 daughter"... Though that is true, I consider myself experienced in the sense that I've tried them all! As the official diaper of experienced moms, Luvs is offering opportunities to save on diapers this month with a $2.00 print-at-home coupon offer. Not only that, but in partnership with ibotta they are offering more savings and even a $100 AmEx Gift card giveaway. 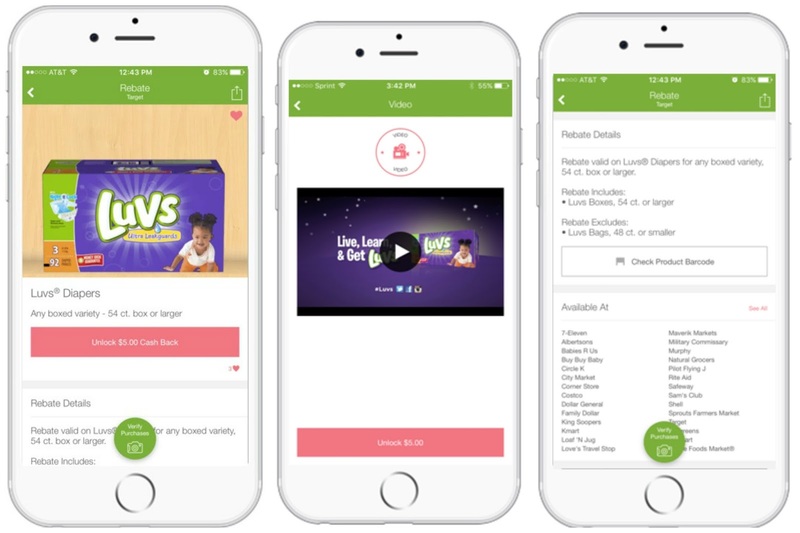 If you aren't familiar with Luvs Diapers, they are available in sizes newborn through 6 and can be found at mass, discount and grocery stores where baby care products are sold. With large refasten-able stretch tabs, fastening Luvs Diapers is super easy for Mom, plus she can rest assured knowing that she’s giving baby a secure, snug fit again and again. Added bonus when the fastening tabs don't break off & you have to tape baby's diaper (Real story)! With Leak Barrier Leg Gathers and a Leakguard Core + their largest absorbency area ever, Luvs makes life easier for busy Moms by helping to keep leaks in the diaper where they belong, so baby stays dry and comfortable. That means you can sit baby on the stroller or carseat and not worry about a leak out onto the seat. Luvs diapers also have a contoured shape which hugs baby for a great fi and a cottony material which feels soft and gentle on baby’s skin. Scared of commitment? There's the Luvs Money Back Guarantee. They feel so strongly that their diapers will keep your baby leak-free that they’ve guaranteed them! If you aren’t satisfied with the leakage protection of Luvs, they’ll refund every bit of your money. For full details see their website, www.luvsdiapers.com. When parents choose Luvs over Huggies Snug & Dry, they turn diapers into dollars by saving up to $150 per year**. 1. 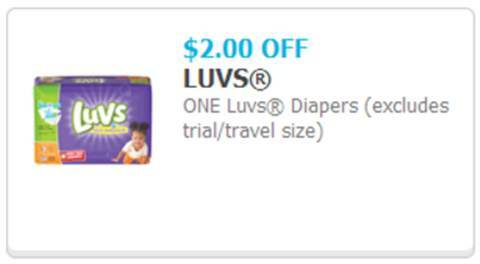 Visit Coupons.com to access a Luvs coupon of $2 off any one diaper pack. Print the coupon at home and use it at any mass, discount or grocery stores where Luvs Diapers are sold. ♣ Verify your purchases by scanning product barcodes and submitting a photo of your receipt. Save money and earn cash back! Your $5 cash back rebate will be deposited into your Ibotta account within 48 hours. Rules are simple, Follow the prompts in the giveaway form and make sure every step is completed. I do check entries and will Disqualify whoever doesn't follow the directions. Good Luck to Everyone! I like Luvs for their absorbency and lea guard. Luvs makes a good fitting, quality diaper for my grandchildren. I love Luvs because they are leakproof, priced right and fit baby perfect! I love the price and the great quality of diaper. I love Luvs because it protects my furniture from little accidents. Luvs has been around for years protecting our kids from leaks and chafeness. Isn't expensive and you get your money's worth. Baird and toddlers are happy. When my son was in diapers, I love how well Luvs fit and no leaks! I love Luvs cause they are so soft to the touch!! I love Luvs diapers because they are gentle on my daughter's skin and then are super absorbent. I love Luvs because they keep the little guy dry and no leakage. I love Luvs because they have frequent coupons in the Sunday paper, and they hardly ever leak when my grandson wears them overnight. I love how economical they are. I like the price, the fit and that its a trusted brand. I like that my nephew sleeps through the night peacefully in them. I like that they work well and are reasonable in price. I love Luvs because they are a good value and work well. I like to use Luvs as they are affordable and they are very good quality. I love LUVs because they are affordable with good quality. I love Luvs because they are good quality diapers at a reasonable price. Thanks for the giveaway! I love them because the are affordable. I like that Luv's are reasonably priced. I like that the price is lower then the other brands. Luvs makes a good diaper reasonably priced. Oh I love the price and how great they work!!! I like Luv's because we never have leakage issues with them. I love Luvs because they don't leak! Luvs are a great value for the money. They fit well, are generally not leaky (lets be honest, there are going to be a few explosions with any brand), and they are a much better value than the expensive brands.They are great! I love Luvs because they are effective! Luvs is always a dependable diaper. I love that Luvs doesn't leak or cause a diaper rash! I love their low price and leak protection! I love Luvs because they are affordable and work great. I like the price and that they don't leak. I love Luvs for the great value!! Affordable but still great quality! I love the leak guard technology. I like that they are a good value. I like Luvs because it has great leak protection. I loved how well they worked. I never had a problem with leaking or rashes when I used luvs on my girls. thank you! I love Luvs because they're affordable and high quality! I just love luvs because they are priced right and are great products. I Love Luvs Because They Are Affordable, Durable And Quality. Luvs are great for leak protection. I like Luvs because they never let me down! They are dependable and that is so important! No overnight leaking - yay! I love them because they work and they're affordable! They are a very good balance between quality and affordability. I love that they are a high quality product at an affordable price. I love Luvs because of their Leakguard Core. I love Luvs because they're affordable and work well. They're affordable and my baby does well in them! I love Luvs because they are affordable and do a good job. 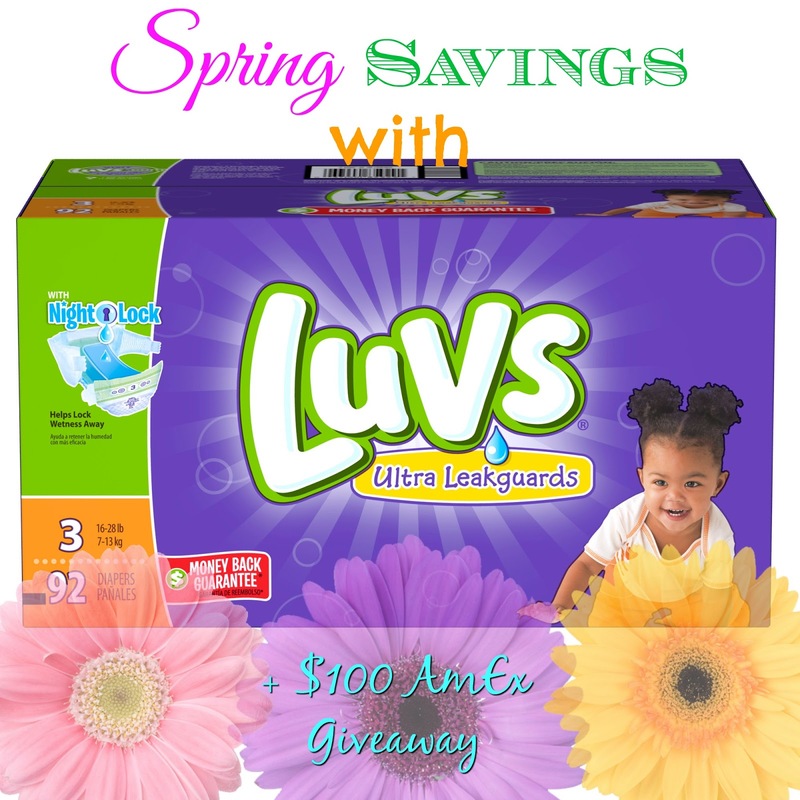 I love Luvs because they are so much more affordable than other name brand diapers. No kids, but my friend loves them. Can't follow on Instagram. I get: Sorry, this page isn't available. I like them because they are reliable. 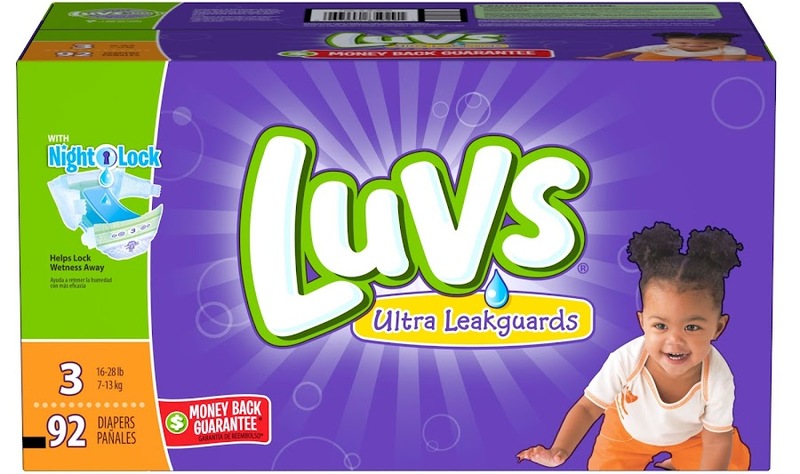 I love Luvs because they work the best, no leaks and are soft for babies bums. I like the high quality. I love them because they are so leakproof. I love Luvs because they are a good value and don't leak. They're relatively inexpensive and get the job done! They are affordable and yet still high quality. I love Luvs because they are great diapers we can depend on! We love luvs for our 2 girls because they have the best protection against leaks. I've got a 21 month old and a 1 month old, never once had a leak with either yet. I like how they fit. Good fit and they always have coupons! I love them for a good fit and no leaks. It seems to always be at a good price. They're better then the cheap store brand, but not as expensive as Pampers or Huggies. They're a great middle of the road diaper. I use them all the time. I love Luvs because they are the only diaper that doesn't cause diaper rash on my granddaughter. great brand! Comfortable for baby and absorbs well for mom. My family members with kids love Luvs cause they're affordable but high quality. I used Luvs when my older children was babies ,because they were more affordable,but I continued to use them because they were the best! i love luvs because they are totally the best. LUVS is better priced and the quality far exceeds the other brands. I love Luvs as they are leakproof and always keep my baby dry. I love Luvs because it is a trusted brand that lives up to its name and reputation. The fit, the promise to keep babies dry, and the comfort are the main staples that keep mommies coming back. I love Luvs because they don't leak and they are priced very reasonably. I like luvs they are the best in every way... they fit perfectly and don't leak. I love how affordable Luvs are! Luvs is terrific quality and great for babies with sensitive skin. I like how they are more affordable than some other brands. I love Luvs for their quality and value. I love luvs because the offer a great selection! We like Luvs because they had the best fit for our daughter's bum !